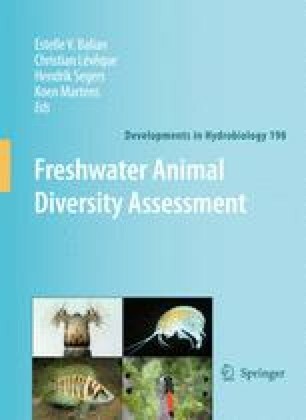 The present study considers 88 bryozoan species occurring in freshwater: 69 phylactolaemate and 19 gymnolaemate species. Roughly 49% of these species are confined to one zoogeographical region. The cosmopolitan status of species like Fredericella sultana, Plumatella repens or P. emarginata has to be reconsidered. Among the Phylactolaemata, which are phylogenetically older than the Gymnolaemata, the gelatinous species (Lophopodidae, Pectinatellidae, Cristatellidae) are more primitive than the branching tubular species (Plumatellidae, Fredericellidae).